Do you love Southern Living? 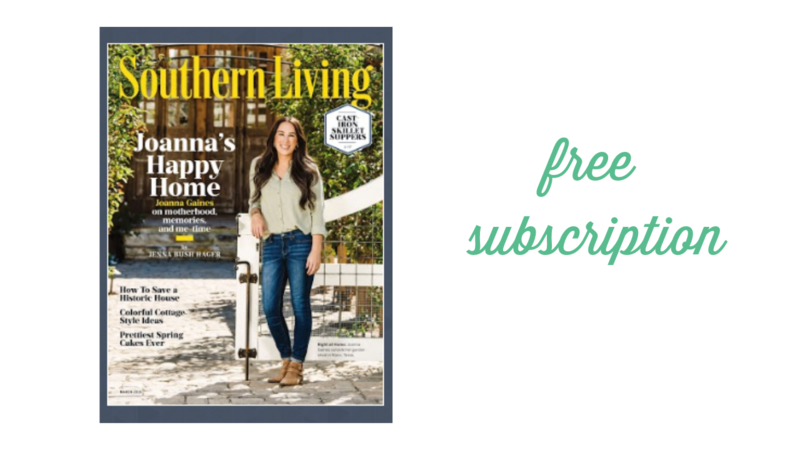 Get a Free TWO YEAR SUBSCRIPTION to Southern Living magazine thanks to MERCURY MAGAZINES! To get this Free offer, you’ll need to ANSWER A FEW QUESTIONS and enter your address information. Once you’re done, be on the lookout for your first magazine within 6 to 8 weeks.